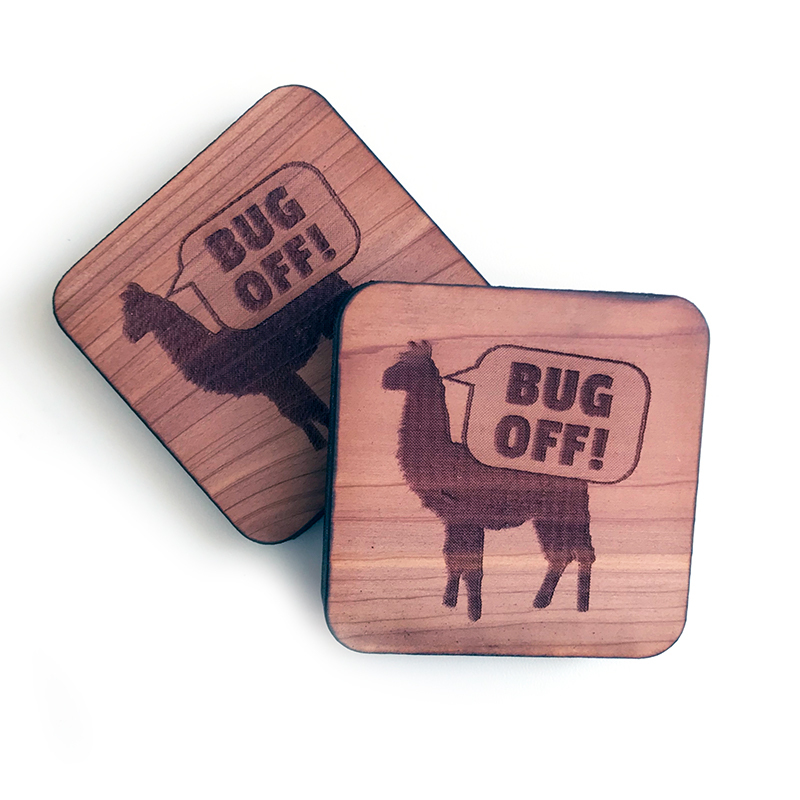 True to their name, our Bug Off Yarn Savers work to keep wool-eating bugs off your wool. Stash one of these lightweight cedar blocks with your yarn stash or with your handknits and it will deter the moths and other yarn nibblers from eating holes in your goods. Sized at just 2"x2" you can even slip them into your project bag so you don't pick up any pesky hitchhikers when you're knitting on-the-go. Receive 2 Bug Off Yarn Savers in each package.